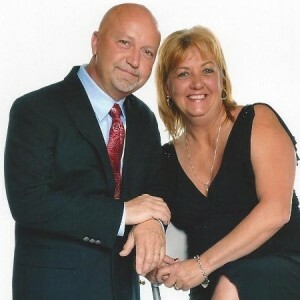 I was welcomed into the Inspect It Like A Girl family in 2010 as a joint business partner with Pam. I came on board as the Marketing Director and absolutely fell in love with inspecting. I absolutely love having the opportunity to be such important parts of helping our clients find their dream home. I couldn’t ask for a more rewarding and fitting job for me. Here at Inspect It Like A Girl , we understand that purchasing a home is a stressful and time-consuming task. The last thing you need at a time like this is to deal with a home inspector who is difficult to deal with or hard to contact or who causes any other kind of stress. We know that the goal of a home inspection is to help home buyers relieve stress by providing them with the information they need to make an informed choice. Our business philosophy has always been to be as professional, straightforward, and as communicative as possible. When people in the Jackson area hire Inspect It Like A Girl as their home inspector, they know that they are getting an inspector they can trust to do the job right and give them the information they need. Over our many years in business, we have built a reputation for excellence that we are extremely proud of. We love that we are one of the Jackson areas most trusted home inspectors, and we want to keep it that way. When you hire us to inspect a property, you can be sure that your inspection report will be thorough, detailed, and accurate. As home inspectors, our job is to take as much of the guesswork out of the home buying process as possible. When you know that your home inspector has made a thorough and comprehensive inspection, you can confidently make your decision about whether or not to purchase the home. Real estate is the largest investment that most people will ever make. When you are considering whether or not to purchase a home, make sure that you are making the most informed decision you can, by relying on a professional, high quality, ASHI Certified home inspector, like Inspect It Like A Girl . We are looking forward to hearing from you. Miriam Silibis being interviewed by Charlotte home inspector Preston Sandlin of Home Inspection Carolina and Ask the Charlotte Inspector. At Certainty Home Inspections we, as home inspectors, serve the Louisville Kentucky and Southern Indiana area. Our mission is to provide all of our client’s with a quality home inspection at an affordable price, giving them the best home inspection experience the market has to offer. When purchasing a home inspection, you need to make your decision with Certainty on the biggest investment of your life time. Certainty’s owners teach other home inspectors nationwide on how to grow, manage & run their business and are experienced well beyond their competitor’s. We perform each home inspection as if we we’re buying the home for one of our own family members. We are a family owned home inspection company that has been serving the Scott, Jackson, Floyd, Clark, Harrison, Washington, Orange and Crawford counties in Indiana and Jefferson county in Kentucky for almost 10 years. We are the largest home inspection company in the Kentuckiana area offering home inspections, mold inspections, radon testing, termite inspections and commercial inspections. We have no conflict of interest with Certainty, we inspect for termites but don’t treat for them. We inspect for mold but don’t remediate for mold and we test for radon but don’t mitigate for radon so with Certainty you get our honest, unbiased opinion of the condition of your new home. We provide you with a full staff home inspection company with six licensed home inspectors to provide you the highest quality home inspection. Unlike other home inspection companies who aren’t as thorough as Certainty’s home inspectors, we have no need for multiple warranties here, we do our job and do it right the first time. Don’t be fooled by warranties that never pay on claims, instead use the home inspection company you know you can trust! William Troutman is being interviewed by Charlotte home inspector Preston Sandlin of Home Inspection Carolina and Ask the Charlotte Inspector. Donnie Bentley is being interviewed by Charlotte home inspector Preston Sandlin of Home Inspection Carolina and Ask the Charlotte Inspector. I do the marketing (and work on marketing materials) for Your New Leads. We generate leads for businesses online utilizing website development, social media management, and video marketing through Youtube. I also deal with client acquisition and management. Matt Smith is being interviewed by Charlotte home inspector Preston Sandlin of Home Inspection Carolina and Ask the Charlotte Inspector. 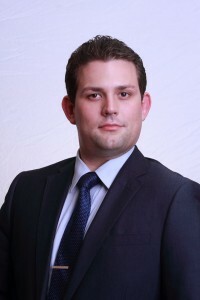 Philippe Heller created The Real Estate Inspection Company after experiencing a really bad inspection. The goal was to build a new type of inspection company. 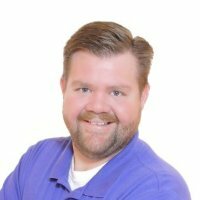 His experience includes a technical background working for world class companies such as GE Power Systems, Cox Cable, and Time Warner Cable. The Real Estate Inspection Company is different. We have a staffed office to answer the phone and help clients. We have 7 inspectors, so we can accommodate YOUR schedule. We have a website that allows you to book an appointment, similar to an airline reservation, quickly, easily, day or night. And we have the resources to provide the best inspection equipment available. Each inspector shows up with the latest high-tech equipment to thoroughly inspect a house for health and safety items. This includes Carbon Monoxide detectors, microwave detectors, electronic moisture meters, and Infrared Thermal Imaging cameras. As the company reaches its 10th year in business, we are branching out to South Riverside and South Orange County. Along with that growth, we are modifying our name to The Real Estate Inspection Co. We are bringing our high level of inspections to Fallbrook, Temecula, Murrieta, and San Clemente areas. Call us to experience a whole new level of service. Specialties: Home inspection, thermal Imaging, leak detection. Philippe Heller is being interviewed by Charlotte home inspector Preston Sandlin of Home Inspection Carolina and Ask the Charlotte Inspector. Wally Conway is a a graduate of the U.S. 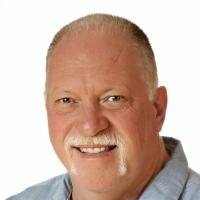 Naval Academy, retired Navy Pilot, Florida licensed contractor, and ASHI certified home inspector who is President of HomePro Inspections, right here in Jacksonville! As a media-active educator, Wally’s been a regularly featured expert on the HGTV hit series “House Detectives”, co-host of the television series “Finders-Fixers”, and is co-host of “The Home and Garden Show” radio show heard on WOKV every Saturday from 7-9 AM. 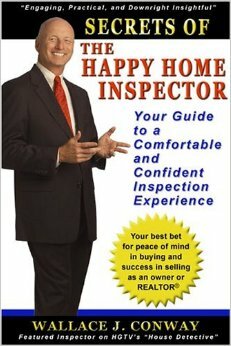 Recently is book “Home Inspection Secrets of a Happy Home Inspector” become a #1 Amazon Best Seller! personally performed over 7000+ inspections since 1995. Brian Murphy is being interviewed by Charlotte home inspector Preston Sandlin of Home Inspection Carolina and Ask the Charlotte Inspector. 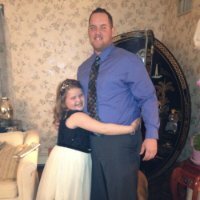 Owner of plumbinghacks.co, a trade specific forum and consulting firm that is focused on providing peace of mind services to trade professionals and end users, certifying that companies are going above and beyond customer expectations by providing a near perfect service experience. I am a sales and service training powerhouse in the residential and commercial trade services industry. I do sales and customer service training to help technicians become more productive, efficient and successful, as well as increasing sales, conversion rates and billable hour efficiency to increase the company’s bottom line. 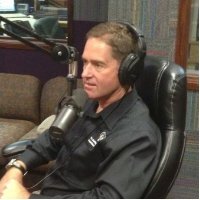 all by using proven techniques to make customers feel more comfortable with the trade professionals by providing an above average service experience. Bryan Hammons is being interviewed by Charlotte home inspector Preston Sandlin of Home Inspection Carolina and Ask the Charlotte Inspector. Checklist Inspections has been servicing the Metro Phoenix and surrounding areas since 1998. We have preformed over thousands of inspections. Whether you’re a first time home buyer or an investment team, we provide one the best inspections and report delivery in the industry. We work with domestic and foreign investors routinely. It doesn’t matter if it’s a starter home or an luxury winter home, everyone gets the same thorough inspection. We inspect as if it’s our personal home each and every inspection. We do work with buyers from around the world and all walks of life, so communication and being able explain the findings and issues with the home is a key factor that we strive for each and every inspection. We, also, have performed many inspections for the hearing impaired community. Call or email us for a recommendation for an ASL Certified Interpreter/Realtor. Our experience allows us to effectively inform our clients and realtors in an non alarmist way. This allows all parties to make a rational informed decision, and not an emotional one. Our philosophy is simple, we put ourselves in your shoes. We treat you as family and your money as if it’s our own. We’re very conscience of the emotion that is involved in purchasing a new home and the stress that can be involved. We do all that we can to ensure that the inspection process is one of the easiest and informative step in the purchasing process for you. On a personal note, Checklist Inspections is owned and operated locally in Gilbert, Arizona, (though we service all of the valley and growing) by John and Kathy Tyler. Our Marketing and Customer Service Representatives are Dakota and Ciana, our Labradors, who also take inspections seriously. As a team we value loyalty to our clients and realtors, precise and thorough inspections and building relationships one inspection at a time. 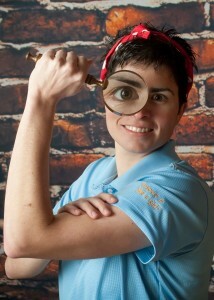 Licensed Home Inspector in AZ. Full voting member of ASHI. Better Business Accredited Member since 2003. We offer General Home and Termite Inspections. Property of 8 yrs and newer are Thermal Imaged to detect low insulation of attic and outside walls. John Tyler is being interviewed by Charlotte home inspector Preston Sandlin of Home Inspection Carolina and Ask the Charlotte Inspector. Description: Onsite Computer Generated Report with Photos. Web Based Home Inspection Report Delivery. 1 Year Written Limited Home Inspection Guarantee. Referral Liability Protection. NIBI Trained Inspectors. Brian started working with HouseMaster in 2003 and became a franchisee in 2009 for the York County Area. 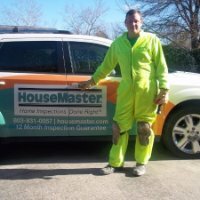 Brian is a licensed NC & SC Home Inspector, a certified NIBI member and a NACHI member as well as a registered pest control tech which allows HouseMaster to perform termite inspections and issue the required state approved form for real estate transactions. He is a Licensed NC Electrical Contractor and certified in Mold & Mildew. 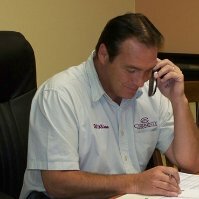 Brian has a construction & electrical background spanning over the last 20 years. He has experience in a variety of building/construction jobs and has performed electrical jobs ranging from residential to commercial & industrial. Brian has completed over 4000 home inspections in this area. Brian attended Pfeiffer University full time pursuing a dual Bachelors Degree in Criminal Justice & Business Administration. He also volunteers his expertise with Habitat for Humanity of Gaston County. Brian Wetzel is being interviewed by Charlotte home inspector Preston Sandlin of Home Inspection Carolina and Ask the Charlotte Inspector.